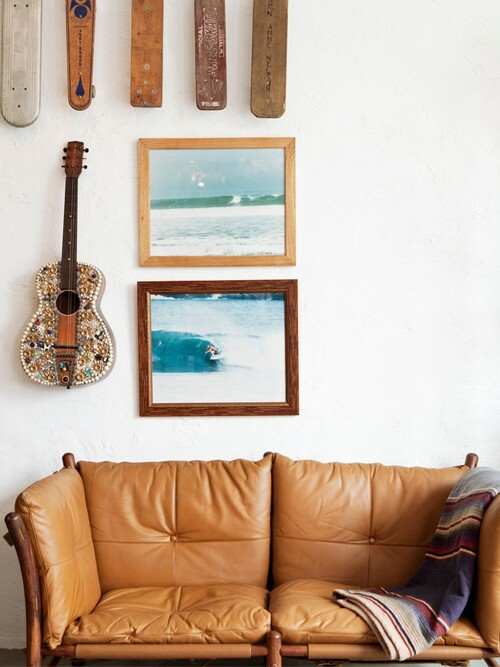 Kinda the perfect relaxed California home...I just love how the old skateboards and guitar add visual interest. I bought an old guitar at a yard sale several years ago, and planned to make it into a mosaic like this one. Looks like I need to get busy on this little project.